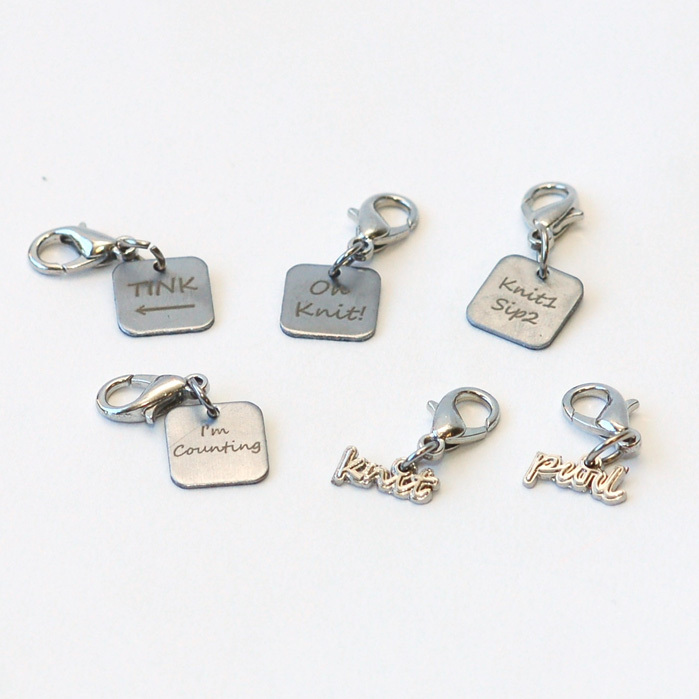 Please Note: Four charms are double sided, two are not, see photos. 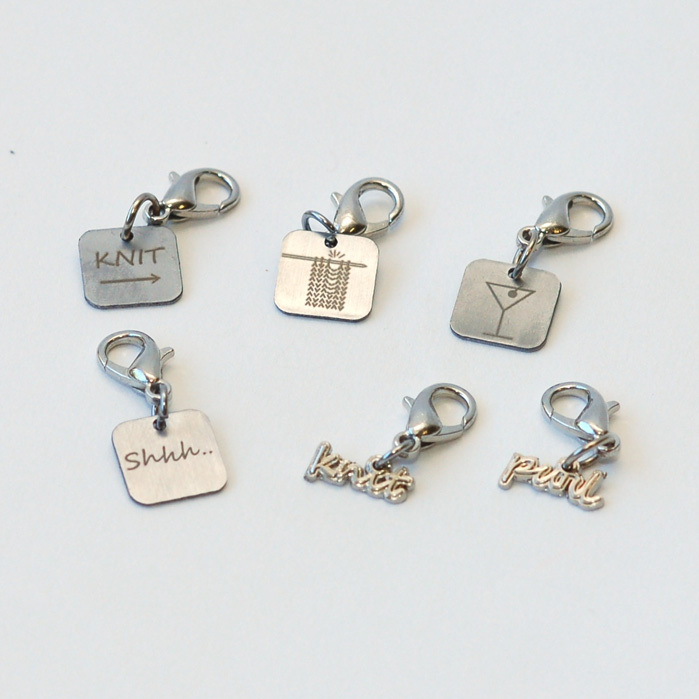 Square charms are made from Stainless Steel; knit and purl are made from Zinc Alloy. 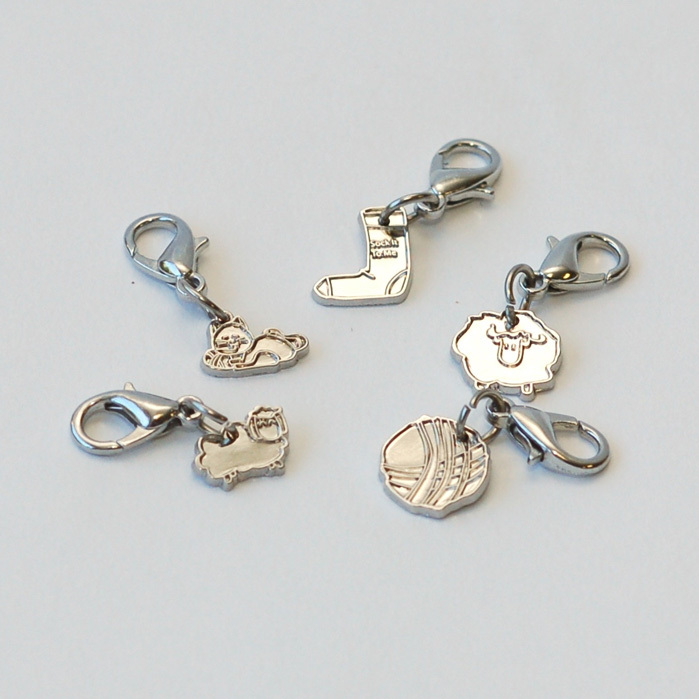 Stitch Marker Charm Bracelet Booster Booster Pack 2 - Includes 5 Charms made from Zinc Alloy. Please Note: These charms are not double sided. 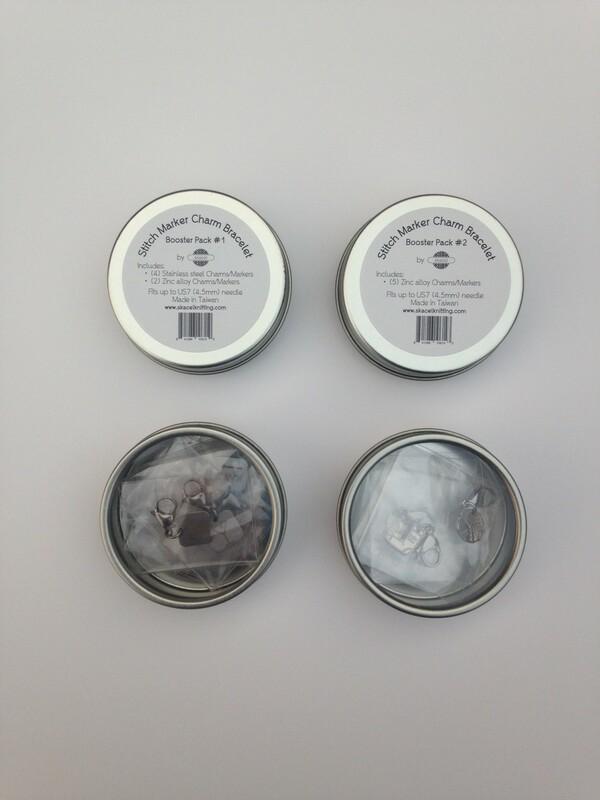 Both Booster Packs include lobster claw clasps, making them perfect for crocheters and as locking stitch markers for knitters! Fits up to US 7 (4.5mm) needle. Packaged in a round collector's tin with see through top for safe keeping. Q: What is the difference between Booster Pack 1&2? Please scroll down to the product description and the differences will be explained there. Also, the photos are labeled with captions showing the differences between the two booster packs. They are completely different charms between the booster packs.